The fabulous open concept layout of the Carver 325 Aft Cabin includes large windows, plenty of ventilation and a better galley and storage than most boats over 40 feet. The aft cabin stateroom features both a double and single berth, and the six-foot sofa bed and huge forward dinette sleep four more in comfort. There is safe and easy access to the aft deck and swim platform by way of molded steps and two hand rails. The huge lockable storage box/seat on the swim platform will stow plenty of gear and water toys for the whole family. 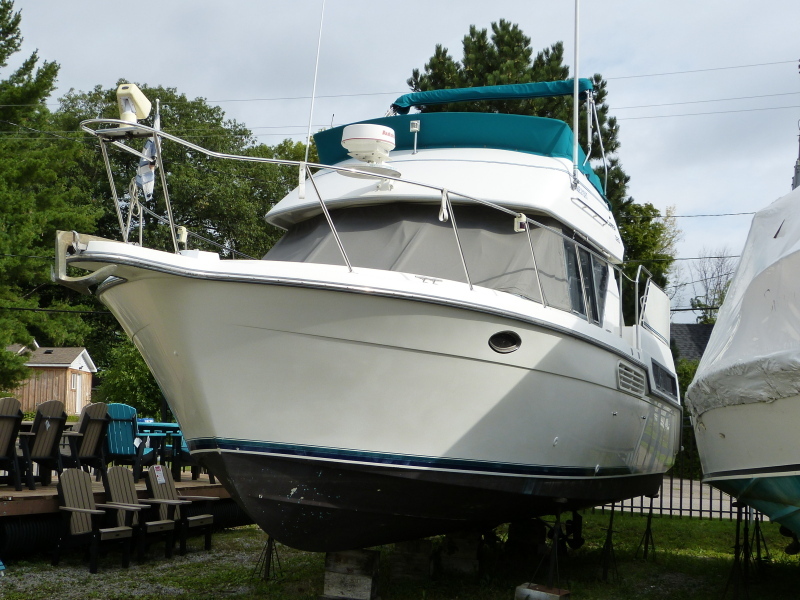 The owner of this clean, freshwater Carver 325 Aft Cabin is no longer boating and is highly motivated to complete a fall sale.